QuitFacebookDay .. Time to Jump Ship to Diaspora? 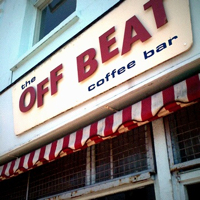 Sleepily recorded at the Off Beat Cafe, Sydney Street, Brighton, UK. This entry was posted Monday, May 24th, 2010 at 1:16 pm	and is filed under privacy, twitter, video sites. You can leave a response, or trackback from your own site. Good show again. Not sure about the Lost hype and all the simulcast gubbings. Maybe because after the 3rd series I lost interest. Can’t beat social media white noise.